GILBERT, Ariz. - Former Eagles quarterback Donovan McNabb was arrested on suspicion of driving under the influence of alcohol for the second time in 18 months, according to police documents released Tuesday. Police in the Phoenix suburb of Gilbert said McNabb was cited and released from a police facility after being arrested June 28 following a non-injury collision about 11:35 p.m. Under Arizona law, since this is his second offense, McNabb, 38, would face at least 90 days in jail if convicted. McNabb works for both Fox Sports and NBC Sports Radio, but neither had issued a statement on his arrest. At the beginning of his NBC Sports Radio show Tuesday, McNabb hinted at the situation, saying: "There was a story that was released, and I want everybody to be cognizant of it, because I am very aware of it, handling the matter at this particular point. But at this point, I have no further information." McNabb told officers he had just left a sports bar and was driving to his Phoenix-area home, according to the police report. Police said that his silver Land Rover rear-ended a car driven by the wife of a Gila River tribal police officer and that McNabb appeared to be impaired. "While Donovan spoke, I noticed a strong, fruity odor on his breath. I noticed Donovan's eyes were watery and very bloodshot and his speech was slurred," a Gilbert officer wrote in his report. The officer said he asked McNabb how much alcohol he had to drink. "Nothing," McNabb said, according to the police report, adding that he had a cold and was taking a cough syrup and eating two cough drops. The officer made McNabb spit out the cough drops and gave him a battery of tests, noting six signs of impairment. McNabb "was not able to stand without visibly swaying back and forth and side to side in a rotational pattern," the report said. 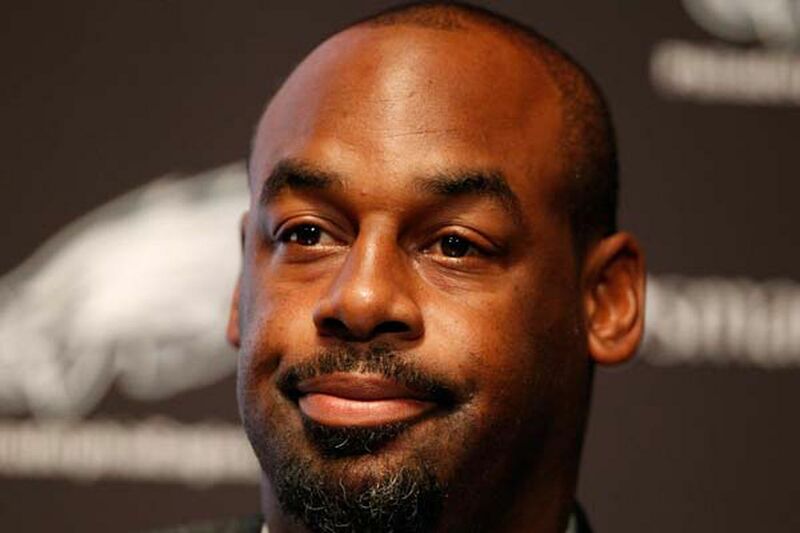 According to reports, McNabb refused additional tests, but he did consent to a blood test. The sample was sent to the Mesa Police Crime Lab for analysis. The results had not been released. According to the police report, when an officer asked McNabb if he understood his rights, he responded, "I know what it means. I've been through this before." Retired NFL wide receiver Terrell Owens, who teamed with McNabb when the Eagles played in the Super Bowl in 2005, said McNabb should get help. In an interview with TMZ Sports, Owens said that the arrest should serve as a "wake-up call" and that DUI is a "serious thing." "It's a blessing no one was hurt. We may not still be playing, but we still serve as role models. You have to be more responsible." Owens finished with: "Next time, call Uber." McNabb served a day in jail in April 2014 after pleading guilty in another DUI case resulting from a Dec. 15, 2013, arrest in the Salt River Pima-Maricopa Indian Community east of Phoenix. He also was ordered to pay a fine of nearly $1,500 and enter an outpatient treatment program in Scottsdale. McNabb played 13 years in the NFL after being drafted by the Eagles with the second overall pick in 1999. He led the Eagles to four straight NFC championship games from 2001 to 2004 and the one Super Bowl appearance, a 24-21 loss to the New England Patriots. He was selected to six Pro Bowls. McNabb played for the Washington Redskins in 2010 and Minnesota Vikings in 2011 before retiring.